The exclusive “Maserati Certified Pre-Owned” program will conform each certified vehicle to the highest standards and will also satisfy the needs of the most demanding customers. All you need to do is enjoy the timeless emotion of driving your Maserati. The program is applicable to the following models: Ghibli, Quattroporte, GranTurismo, GranTurismo MC Stradale, GranCabrio. For pre-owned vehicles not older than six years (as of the registration date), and having a mileage of less than 130,000 km (80,800 miles), is applicable the “Maserati Limited Certified Pre-Owned” warranty. In this case, the warranty coverage is drive-line limited (engine, gearbox, transmission). The program can be requested for the following models: GranTurismo, GranTurismo MC Stradale, GranCabrio, Quattroporte up to model year 2013 (duo-select version not included). 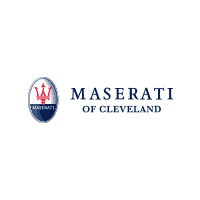 Experience the luxury of a Maserati Certified Pre-Owned vehicle from Maserati of Cleveland.